Earlier this week the news broke that whilst in training camp, Canelo Alvarez had failed a drugs test. As part of his preparation for his much anticipated rematch with Golovkin, Canelo had submitted himself to testing by anti-doping agency, VADA. It was one of these VADA tests that came back positive. The drug in question is Clenbuterol, a thermogenic stimulant that boosts aerobic capacity, central nervous system stimulation, blood pressure and the body’s ability to transport oxygen. In normal medical practice it is given as a treatment to people who suffer with asthma and other breathing related ailments. It quickens the metabolism which allows athletes to simultaneously lean down and gain muscle mass which is particularly useful for someone like Canelo, who frequently hops between weight classes. Boxers across the world have been quick to brand Canelo a drugs cheat, with the likes of WBO middleweight champion, Billy Joe Saunders, speaking out particularly strongly on the subject. The word out of the Canelo camp is that this failed test was caused by eating contaminated meat and quite frankly, I believe him. Clenbuterol is often used illegally by farmers to add bulk and muscle to their animals to increase profit margins. This practice is particularly widespread in less economically developed countries such as Mexico. Animals who have been supplemented with clenbuterol produce contaminated meat, which if eaten can produce a positive test. The first important thing to note about clenbuterol is that it is classified by the World Anti-Doping code as a non-threshold, non-specified substance. This means that even the smallest amount of clenbuterol can trigger a positive test. Therefore, the level of clenbuterol can be below the threshold of a performance enhancing level but still set off a positive test. Canelo’s promotional team have stated that the amount of clenbuterol found is consistent with levels found as a result of eating contaminated meat. This has subsequently been confirmed by Daniel Eichner, the director of the WADA accredited laboratory that conducted the failed test. It should also be noted that this is the first test that Canelo has ever failed. He has been regularly tested in and out of camp for years. During each camp Canelo is tested over 10 times and until now has never returned a positive test. Additionally, tests conducted on Canelo since the failed test have also all come back clean. It should be noted that drugs like clenbuterol are effective when taken cumulatively over a longer period of time, and based off these test results, this is not the case. Furthermore, this type of positive test occurs frequently across a wide range of sports. Tyson Fury was recently acquitted for a positive test which was triggered when he and his cousin, Hughie, ate a wild boar. Track and field athletes have also regularly failed tests and then have subsequently shown to be clean in countries like South Africa where clenbuterol usage is far more common. Does this information completely exonerate Canelo? Not fully. However, the legal system is such that it is a case of innocent till proven guilty and there is as of yet, very little indication that Canelo has knowingly cheated. Don’t get me wrong, deliberately using drugs in boxing should be a criminal offence. In combat sports, drugs can give power advantages that can be lethal and should be punished accordingly. However, this test has all the markers of an embarrassing blunder rather than a malicious and nefarious attempt to cheat. 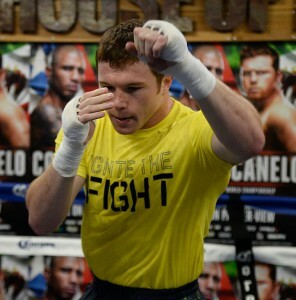 Ultimately, Canelo is responsible for the substances that he puts in his body and he has nobody to blame but himself. However, I highly doubt he has gained any performance benefits from this incident and whilst it probably warrants a slap on the wrist, the fight should go on. Until additional evidence is produced, indicating Canelo’s guilt, give the man a break, the damage to his reputation has already been more than sufficient punishment.